Purple color rules! 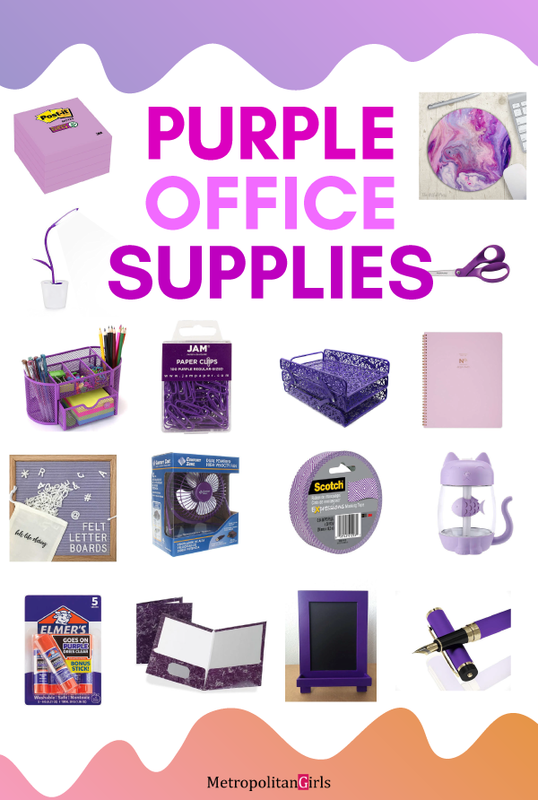 If you love the color purple as much as we do at Metropolitan Girls, keep on reading to discover cool office supplies and stationery you will fall in love with on first sight. And yes, they’re in purple! Is there anything more satisfying than well-organized office space? Well Yes, a well-organized work area with purple accents. It simply makes you feel more clear-headed, focussed and inspired when you work in an office like that. The color purple is a traditionally calming color, making it the perfect shade to decorate your office space. Now we can’t always repaint the wall or upgrade the furniture, the next best thing is bringing some brand new purple supplies. Not sure what supply to buy? Get inspiration from the list below now. 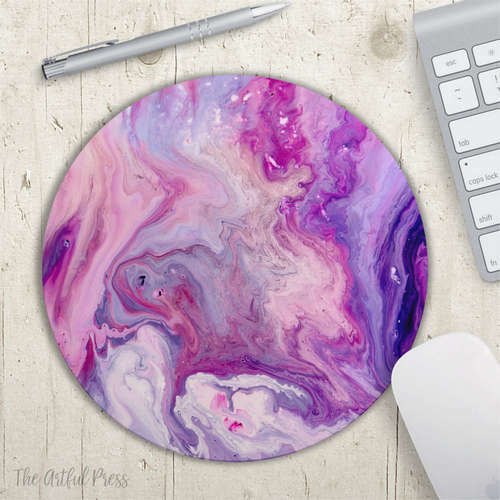 Start your little office redecoration right with this funky purple marble mousepad. Measuring 7.75 inches across, it’s the perfect addition to any purple-themed workspace. Only the highest-quality inks are used in production, meaning your mousepad will stay looking vibrant and beautiful. 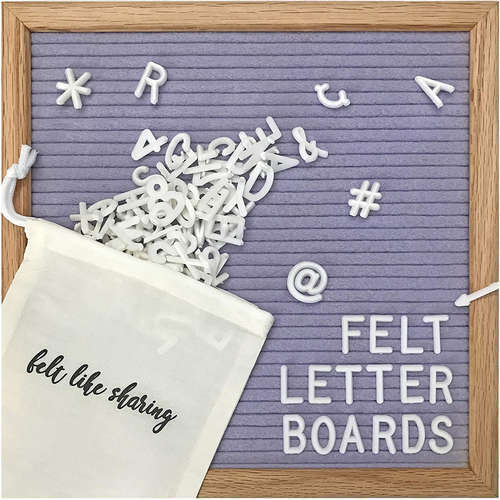 Express yourself with this cute-as-a-button purple felt memo board! With 300+ letters and numbers, the possibilities are endless – to-dos, funny quotes, inspiring messages – the list goes on! 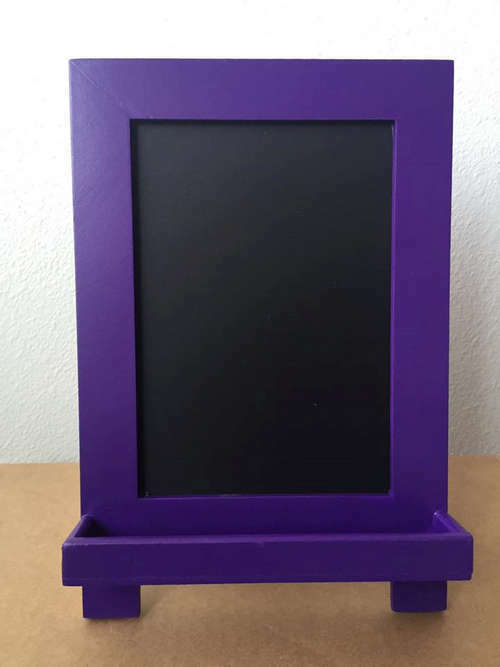 This purple message board is the perfect way to add a bit of personality to the office space. If a felt message board isn’t your thing, have a bit more freedom with this cute chalkboard easel. 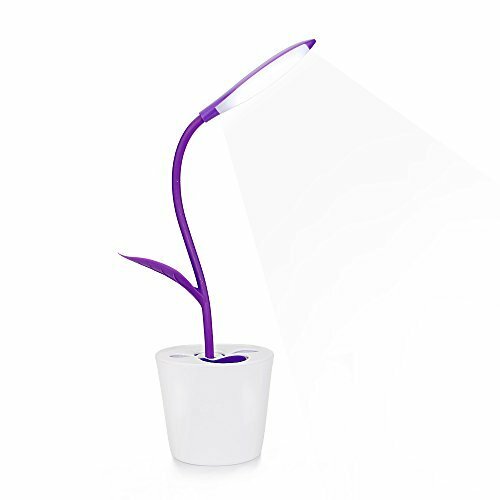 Compact and sturdy, it would fit perfectly into any purple-themed office. What would you write on it? 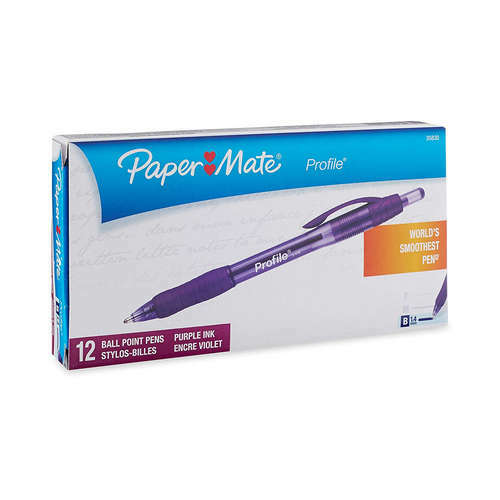 Provide a place for your other purple stationery to call home. Are you constantly searching for a lost paperclip? Never lose your critical office equipment again with this great organizer caddy. With space for pens, pencils, post-it notes, paperclips, thumbtacks, and erasers, your important supplies will always be on hand. 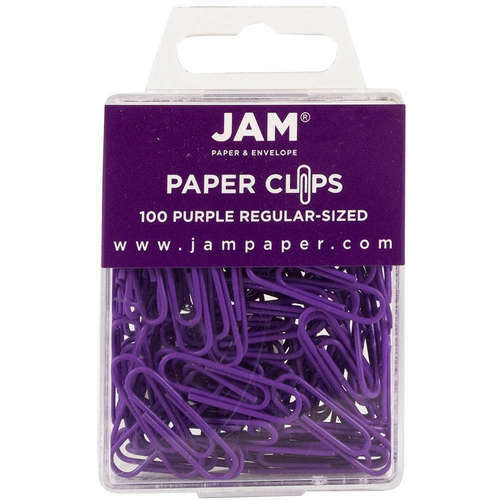 Now obviously you’ll need some purple paperclips for your purple desktop organizer, right? This pack of 100 standard-sized paperclips is perfect for adding a bit of personality to papers, organizing documents, and decorating your office. The space on top of your table isn’t the only place that needs a splash of purple – your filing system does too! 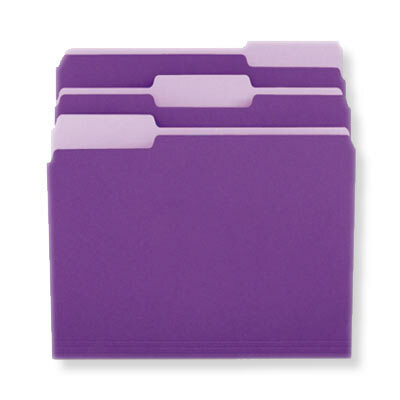 These lovely purple folders are bright and durable, ensuring all of your important documents stay perfectly filed away. 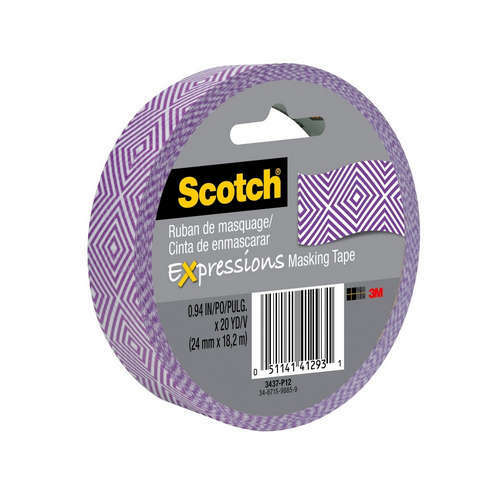 If you haven’t discovered the joy of Washi tape yet, this is your chance! 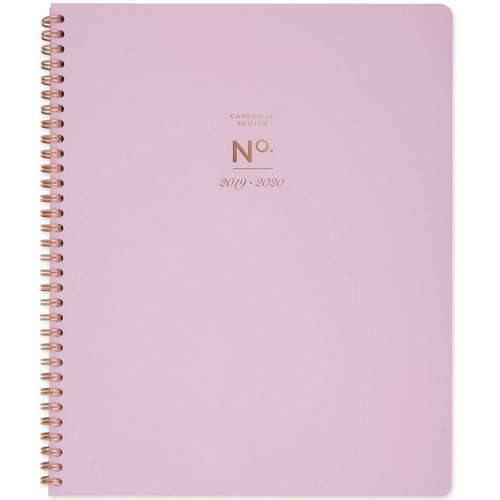 It’s perfect for decorating your space, highlighting important sections of documents, and even filing. It’s easy to tear, and an even be written on with pen, pencil or marker. The sky is the limit! Do harsh, bright lights strain your eyes? Do you prefer to work in the evening?Does your overhead light cast awkward shadows over your desk? Look no further than this fantastic USB-powered lamp. Endlessly flexible, adjustable brightness, super cute design – what more could you want? No office is complete without a set of high-quality, reliable scissors. 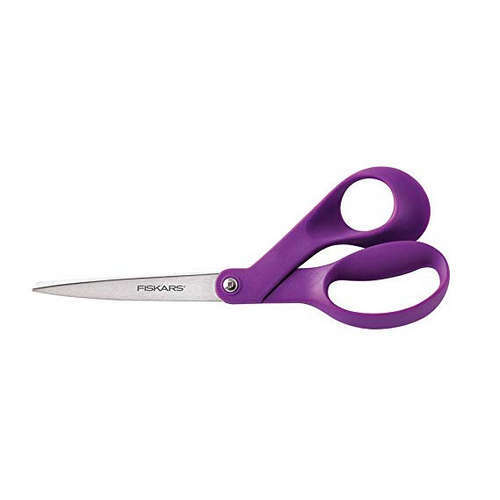 Fiskars are a trusted brand, creating scissors that keep their sharpness and are comfortable to use. Just when you thought they couldn’t get any better – they come in purple! Bling, bling! 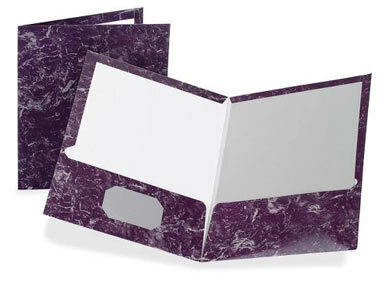 These high-gloss, purple marbled folders are super-chic. They’ll fit up to 100 pages and even have room for a business card, ensuring a truly professional presentation. You know what they say about first impressions! … heating and cooling dries out the air around us quickly, leaving us with a string of uncomfortable symptoms. 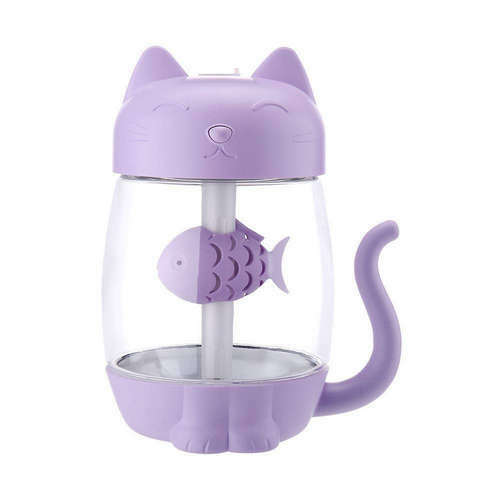 This adorable cat humidifier fits perfectly on your desk, had an automatic 4-hour power-off safety feature and even has a sweet, gradient light at nighttime. Get a head-start on the upcoming financial year with this lovely purple planner. It has a weekly two-page spread, places to list the weeks’ priorities, and even a future log for forward-planning. Never miss an important appointment again! Of course, you’ll need something to write in your purple planner with – and what better than a purple pen? This great set of 12 purple ballpoint pens means you’ll never be caught without one – keep some on your desk, in your bag, and in your pocket, so you’ll always have one handy. One of the must-have supplies for school and office alike. 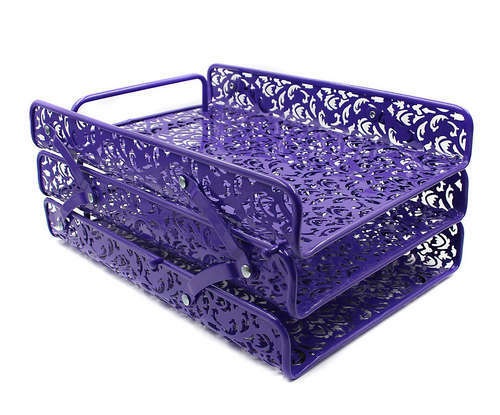 Keep your documents well-organized with these cool three-tiered purple trays. They’re durable and sturdy, and can be used either extended or stacked, so they’re only using a small amount of valuable desk space. 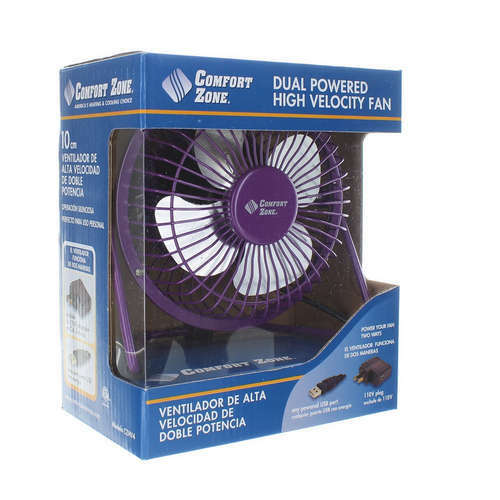 Beat the heat in the office with this funky purple desk fan. It’s high-velocity, totally adjustable, and better yet, it’s powered via USB, so you won’t have to spend time looking for powerpoint adaptors! As an added bonus, it runs quietly for minimal distraction. Where would we be without Post-It Notes? They’re such an office staple, used for anything from reminders to to-do lists to quick messages. 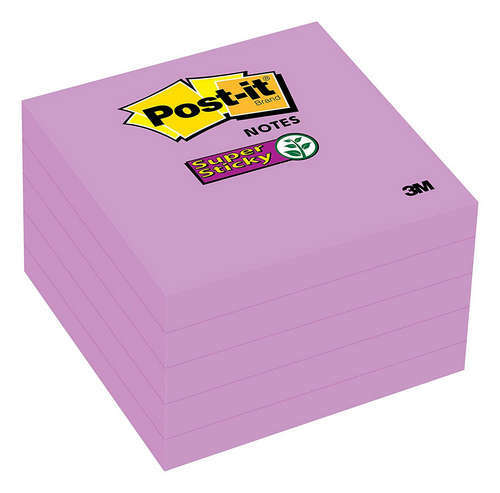 This cute purple pad is even super-sticky, ensuring no note gets lost! 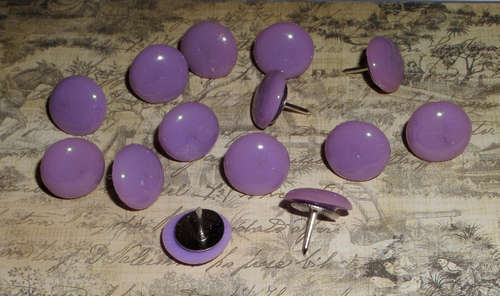 … and these thumb tacks are no exception! They’ll make sure every time you glance at your cork board you’ll feel happy and calm. What more could you want? 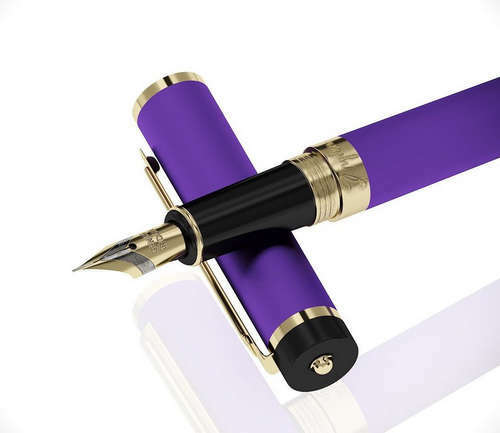 Everyone needs a beautiful fountain pen, and if you love the color purple, then look no further. This stunning pen is sophisticated and high-quality, hand-assembled and checked for ultimate luxury. Blotchy, bleeding ink? Who has time for that? 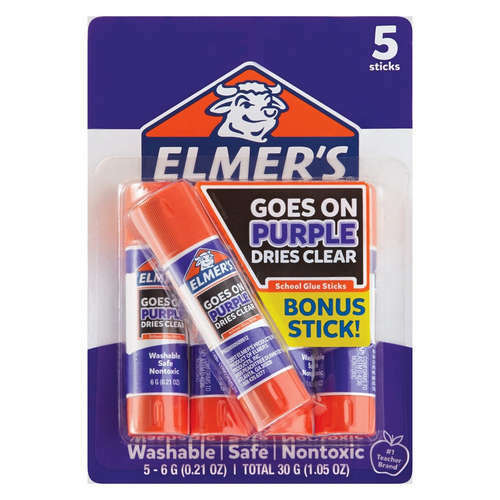 … because these amazing Elmer’s glue sticks go on purple and dry clear. Not only is that super aesthetically pleasing, but it makes sure you get the glue exactly where it needs to be – no more guessing. When you’re sitting down for extended periods of time, it’s easy to damage your back and end the day feeling stiff and sore. With a proper ergonomically-designed chair, back pain will be a thing of the past. 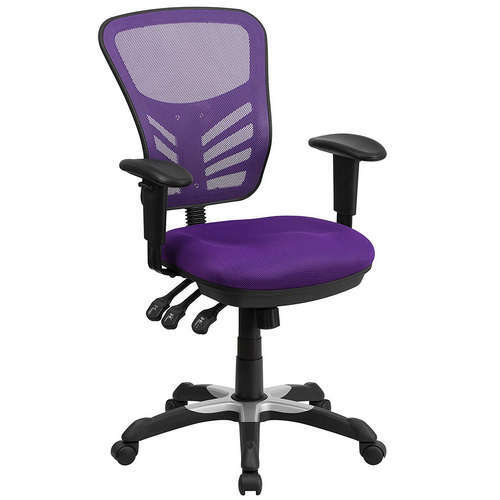 This one is fully adjustable, comfortable, and, yes – it’s purple! 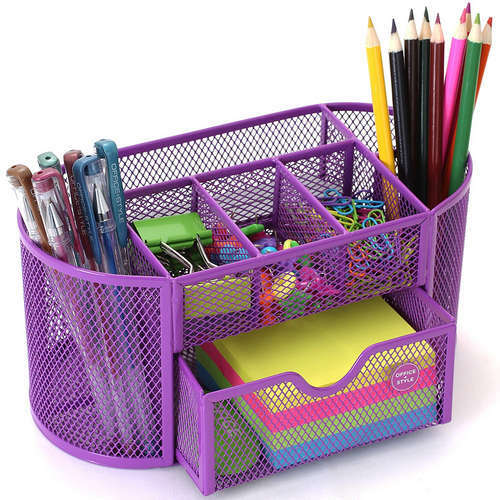 Purple Lovers, Did You Find Any School Supplies / Office Supplies You Like? Are you loving these cool supplies as much as we are? We can’t wait to redecorate with these adorable pieces! Do you have a color-themed workspace? Let us know!